There’s something I have wanted to write about since I resumed blogging. But due to a lot of irrelevant reasons, I never got around to it. Today, I thought I should get to it…finally! Sometime during last month, someone I know happened to read the last post in my blog (dated May 2010). He told me he really loved it and appreciated me a lot. I felt a pang of guilt for not having even thought about writing anything for so long, after that post almost a year and a half ago. And then, during that very same week, my best friend, Kiran, asked me why I hadn’t been posting anything on the blog. So, the next time I went online, I got this urge to write something. Since I was in the hangover of a book I had finished the previous day, I decided to write about books that have influenced me. While typing it out, I was completely absorbed in what I was doing…I was so into it and overcome by a kind of heady rush of happiness that I have never felt before. After all the editing, when I clicked on the ‘Publish’ button, I felt the happiness surging to its peak. When I took a look at the final outcome, I was nearly speechless by that emotion. I cannot possibly describe it in words. It was something I had never experienced…something that made me feel I had reached where I have always wanted to… It took me a moment to realize that I had found my calling in life! I could not ignore the overpowering rush of emotions I got from writing. And I knew I couldn’t be stopped. Since that post, I haven’t had a moment of doubt that I’m on the right track. 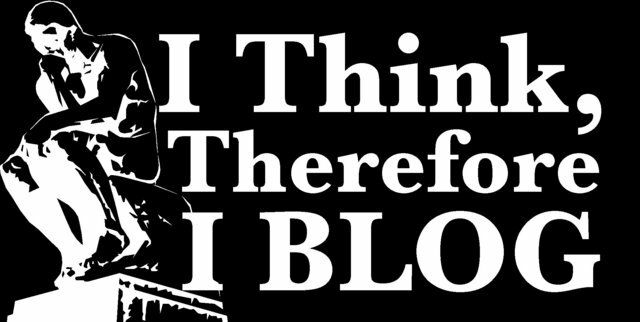 I’m literally addicted to blogging. I keep looking forward to writing my next post. I ponder over thoughts or ideas to write about. I look around myself, drinking in everything with an intense zeal I have never felt before. I feel restless if I haven’t been able to write for a couple of days. I’m so addicted to this ‘kick’ I get from writing! Yeah, I get a ‘kick’ from writing! A couple of months ago, I read this post in my friend’s blog which said the same thing – that he got a kick from writing. Now, I know exactly what he meant. It’s so intoxicating that I can’t seem to let go. Yes, I have been writing for a long time now, and I used to find happiness in it. But this is something far more serious for me. Writing something and putting it out there, hoping it will reach out to others is something so exhilarating. I have always been passionate about writing but that was mostly because I got immense relief and happiness from writing out all that I had in mind. But now, I have discovered that I can reach this higher level, find true happiness in it… I can get a ‘kick’, a rush from it… And I realize I have found what I have been looking for! Trust me, it feels so good, like I’m finally seeing light after days of darkness. Yesterday, I was listening to a speech and summarizing it. There was this particular thing the speaker said that caught my attention. He said it was important to work on one’s strengths rather than the weaknesses. He mentioned a way to identify your strengths. Take an activity; if you feel good and strong (confident) before doing it, while doing it and after doing it, then there lies your strength. I found it to be so true and it provoked me to think. I didn’t even have to ponder for more than a second – I knew my strength was, undoubtedly, writing: this power in me to put into words all the thoughts running inside my head. I experience a deep, intricate pleasure (more like pure bliss or ecstasy :)) just before I write, while I do it and after I finish writing. Blogging has helped me discover that I’m actually able to find this rush of happiness (something that is necessary for me, in almost everything I do) in writing. So, I felt I should definitely blog about it, perhaps as a token of gratitude to whoever began this blessed way of sharing our thoughts & ideas. And of course, because I want to tell all the writers out there not to underestimate the power of your talent. Write on…!! All of us have strength(s) of our own, maybe dormant, maybe unrecognized, maybe not given much importance. When you finish reading this, I hope you take some time to think of what yours is. So that you find this happiness, too. 🙂 Good luck with that! This entry was posted in Life Through 3 Years of College, Thoughts in Words, Writing and tagged Addiction, Blog, Blogging, Happiness, Kick, Writing. Bookmark the permalink. good job rosh, keep writin…i njoy readin ur posts. !, I apreciated your project in this web page, you are giving good information with great writing! This web page is much interesting!